NORWAY — Bernice Alexander, a long-time resident of Norway, died in Goodyear, Ariz., on Thursday, April 4, 2019, at the age of 88. She was born in Norway on June 15, 1930, the youngest of two daughters of Vines and Jennie Bernard. Bernice graduated from Norway High School in 1948 as the salutatorian of her class. She married Calvin “Tucker” Alexander in May 1950 and had two children: a son, Terence Alexander of Goodyear, and a daughter, Diane (Alexander) Trainor of Dove Canyon, Calif.
She was employed as the office manager at GAF in Pembine, Wis., for many years until her retirement in June 1995. After retiring, she enjoyed traveling with her sister, Elaine (Bernard) Knickerbocker of Chelsea, Mich., spending their winters together, first in Florida and subsequently in Apache Junction, Ariz.
Bernice had many hobbies. 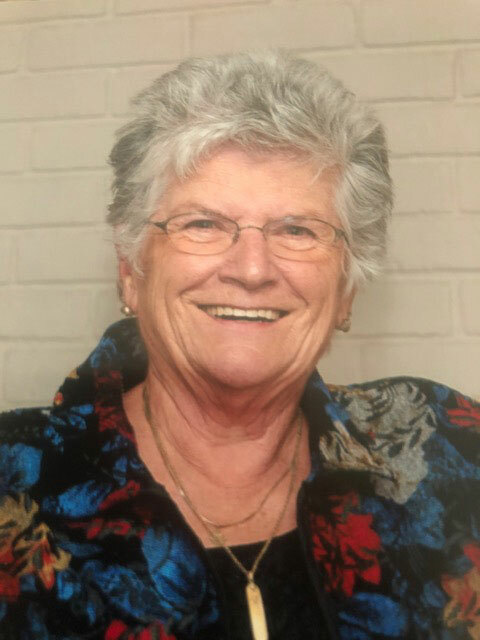 She was an avid golfer and loved playing with friends at Oak Crest in Norway and Bombers in Niagara, Wis. She was an excellent cook, specializing in Italian cuisine. She was proficient at sewing, knitting and crocheting, and made ceramics. Bernice had a gregarious personality. She loved people and could talk to anyone, including complete strangers. She had many friends and thoroughly enjoyed whatever she was doing. She wasn’t afraid to try new things. She was an excellent homemaker, hostess and event organizer. She loved country music and regularly attended the Hodag Country Music Festival in Rhinelander, Wis.
Bernice loved her family and was proud of her children and grandchildren. She was a hard worker, optimistic, strong and fun-loving. Bernice is survived by her two children, Terence Alexander of Goodyear, and Diane Trainor of Dove Canyon, Calif.; and two grandchildren, Daniel and Brian Trainor, both of whom live in the Los Angeles area; and her sister, Elaine Knickerbocker of Chelsea. She was preceded in death by her husband, Calvin “Tucker” Alexander; and her parents, Vines and Jennie Bernard. Visitation will be 8 to 9 a.m. Saturday, April 13 at St. Marys Catholic Church in Norway. The Mass of Christian Burial will be celebrated at 9 a.m. Saturday at the church, with Fr. Timothy Ekaitis officiating. A luncheon will be held in the church hall following the burial. Condolences to the family of Bernice may be expressed online at www.ortmanfuneralhome.com.